Crocs has a good reputation when it comes to creating high quality sandals, clogs, and other leisure footwear. They have grown in popularity quite a bit in the last decade, and they continue to keep adding new customers to their list. 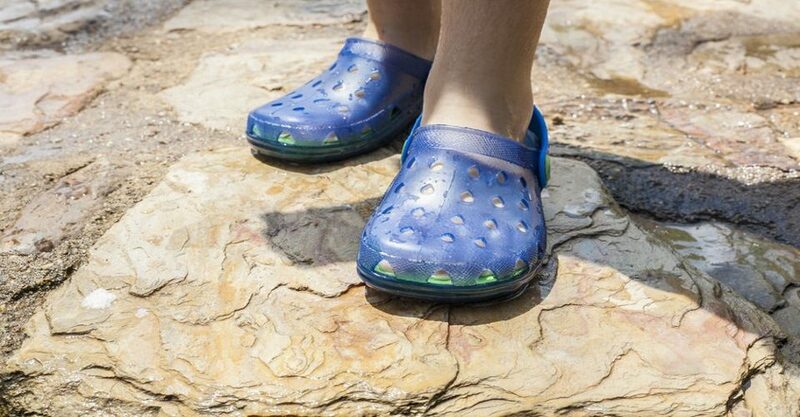 The Crocs brand has a distinctive look and feel to it, because of the proprietary material that they use in it called Croslite. The material is lightweight, odor-free, and very comfortable. Combine this with the distinctive and simplistic style that each pair of Crocs contains, and you can see why this brand has become so popular over the last several years. They were founded in 2002, and have expanded a lot since then. According to their website, they have sold over 300 million pairs of shoes in over 90 countries. For a relatively young company, these are huge numbers. This is a trend that we don’t see changing any time soon. As Crocs continues to grow and improve, more customers are inevitable. If you’re in the market for a new pair of clogs, sandals, swim shoes, or something else, Crocs is a company worth looking at. They make shoes for women, men, and children, so you are bound to find something that you or your family members can wear. Their clog-style shoes are by far the most popular. Clogs account for about 45 percent of all of the sales that Crocs makes, showing just how popular this particular shoe is. They are comfortable, stylish, and simple. They are a great shoe for working outside in warm weather, wearing to the beach, or just wearing while you sit on the couch and watch TV. Whatever your comfort needs are, you can find a pair of Crocs to match. You can shop for their shoes online, or through one of their 500 or so global retail locations.